Every once in a while a theatre attendee gets the opportunity to experience an evening of wonder…..fine acting and well conceived directing of a thought-provoking script. Such an experience awaits you at Karamu, where Dael Orlandersmith’s ‘YELLOWMAN’ is being performed. ‘YELLOWMAN,’ a 2002 Pulitzer Prize finalist for drama, is a shocking, yet often humorous revelation of a long held but often painful tradition among blacks of the separation between members of their race based on the darkness or lightness of their skin. The playground ditty, "If you're white, you're right. If you're brown, stick around. If you're black, stay back," creates the core of the script. The epithets, often spoken in South Carolina Gullah/Geechie, are the plot device that drives forward the views of prejudice, self-loathing and ghosts of childhood that the painful words leave behind. On the surface, "YELLOWMAN" is the story of Alma, a dark-skinned African American, and her childhood friend, Eugene, a light-skinned black child. They transition from children to adults and fall in love. They face conflicts over their skin color and the resulting residue of family messages regarding “colorism.” But, the overall effects are much more than the storyline itself. The emotionally wrenching ending reveals the horrific results of the intra-racial conflict and how it can result in the destruction of individual personalities and life, itself. Karamu’s production, under the adept direction of Fred Sternfeld, is mesmerizing. Though the script is a little long, the emotionally charged and often humorous intermissionless production does not allow the viewer’s attention to waver. The theatre mood is energized by the interactional African American pattern of “call and response” in which the members of the audience give spontaneous oral reactions to the speeches of the actors. The experience tends only to be available at African American church services and in settings, such as a theatre, peopled by a Black audience. Kyle Primous (Eugene) and Kristi Little (Alma), give two of the finest local performances of the season. They are both impeccable in their acting and character development. Playing numerous roles, each hits the sound and movement of every character, from childhood images to adults of various ages. If there were local Tony awards to be handed out, the duo should be preparing their acceptance speeches! 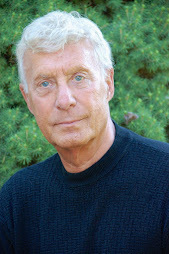 Richard Morris, Jr.’s scenic design, consisting of wooden levels, creates the necessary stark background needed for the multiple settings required of the script. Though the lighting sometimes leaves the performers in the dark, the overall effect sets the right moods. CAPSULE JUDGEMENT: Karamu‘s ‘YELLOWMAN’ is a must see production! The acting is superb, the directing spot on, the script reveals a part of the African American lifestyle of which many are unaware. Call now for tickets!!!!! !